From Fall through early Spring, Lincoln has the honor of hosting many colleges and universities from USA, Canada and South East Asia. They come to visit with our students and faculty, either as independent representatives or part of the larger traveling EducationUSA Fair. These interactions are valuable platforms to make those personal connections and also allow for a deeper understanding of who our students are and the programs that these visiting colleges offer. 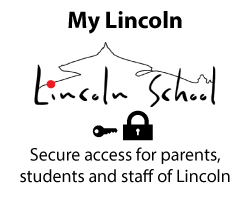 The University Representatives always have delightful feedback, both of our students and their experience at Lincoln. We also invite host country schools to the college fair so they do not miss out on this valuable opportunity. Last Friday, the Consular section section of the US Embassy also made a US Visa Application Presentation for our non-US families to familiarize them with the US visa application process. 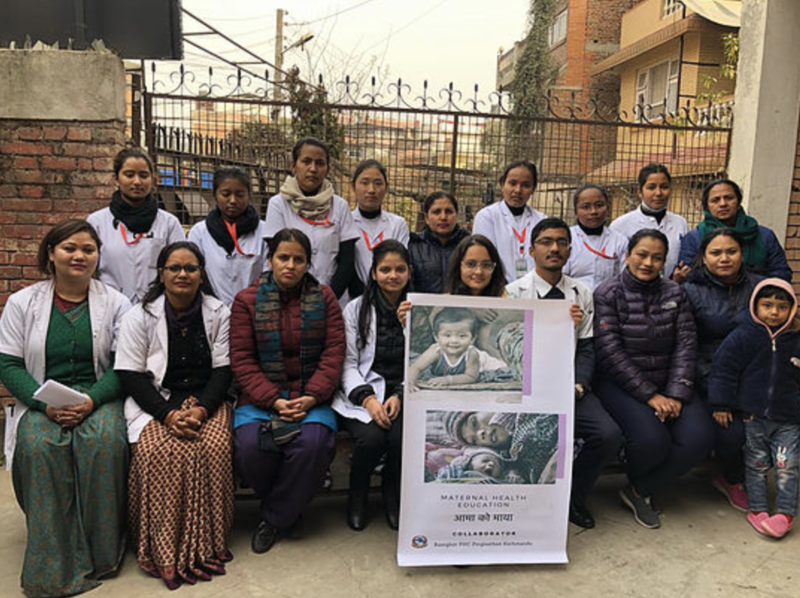 On January 16th, Prakriti, a Lincoln School senior, organized and hosted a Maternal Health Camp as part of her year long Senior Project. She named her Maternal Health Camp, Ama Ko Maya, which translates as A Mother’s Love. Prakriti, Doctors and Nurses at the Health Camp. Women lining up to attend the Health Camp. Lincoln Shuttlers Return from Chennai! CHENNAI, India. — Our Lincoln Badminton team came back from the SAISA tournament in Chennai, India, with a number of wins under their belts, some individually-awarded and team-awarded sportsmanship pins, a huge amount of improvement and experience, and a whole heap of smiles. Throughout the exhausting three days of singles, doubles and mixed doubles play, our players demonstrated their endurance, perseverance and excellent sportsmanship traits. Our Snow Leopards were knocked out in the tournament, but that doesn’t mean our players didn’t leave it all out on the courts, having incredibly close matches and showing their best effort. The development of our badminton athletes’ skills over the weekend alone was tremendous and I’m already excited to see where this growth takes us next year! I was also very impressed with the amount of peer coaching and support each student gave one another between and during each game. Our players also helped make our long travel days run smoothly and enjoyably as we hung out in the airports, showing extreme patience in all the long lines and helping each other through the various checkpoints. It was especially pleasurable having our Seniors play with us for a final time, and we look forward to seeing the rest of our athletes out again for badminton next year! CHENNAI, India. 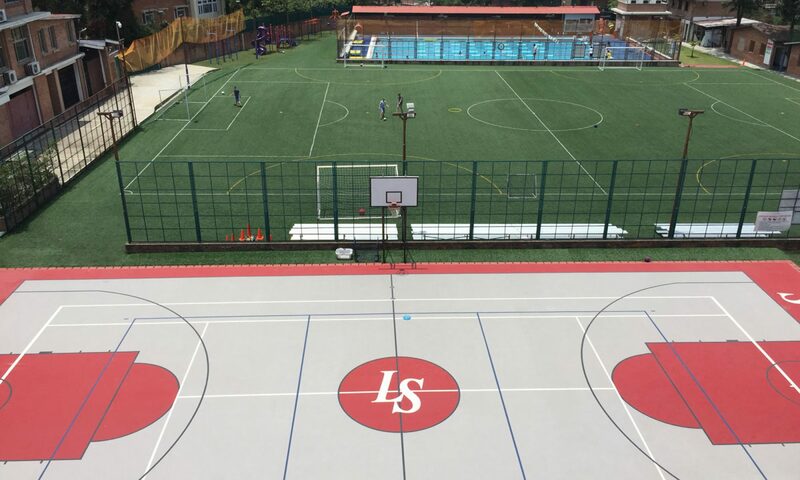 — Lincoln School’s tennis team headed to India to brave the heat on the outdoor ground and rooftop courts of the American International School of Chennai. First, we played round-robin ranked singles and doubles for boys and girls. With a handful of wins under our belt and a number of impressive (and long) matches behind us, the Snow Leopards headed into the mixed doubles portion of the meet where two of our teams made it to the quarterfinals, due to a strong showing from our newer players. In mixed teams play, Lincoln students co-won the 3/4 mixed category and placed second and third in the 1/2 mixed category. Our Snow Leopards played in quarters, semis, and finals, hitting shots and winning games that elicited gasps of shock and admiration from the watching crowd. Despite having one of the youngest teams (and the only middle schoolers) at the tournament, every member of the team played long and hard, fighting for every point, game, and match. That competitive edge truly embodies the Snow Leopard spirit! Lincoln Boys Football Reach SAISA Semis! MUSCAT, Oman. — The Lincoln Boys’ Football Team headed to the Gulf to defend their SAISA title against 9 nine other international schools. Expectations were high heading into the tournament, and we kicked off in the heat of the day against a tough Dhaka team. The boys took a while to get going and went into the 2nd half a goal down, but then began to play their football and equalized from a penalty. Despite us having the momentum and the better play, Dhaka scored off a free-kick in the dying minutes to win 2-1. We bounced back in style a couple of hours later, putting in a smooth and assured performance against Colombo. The boys threaded some nice passing together and capped their strong team play with a few spectacular goals, including a bicycle kick, to win 4-1! 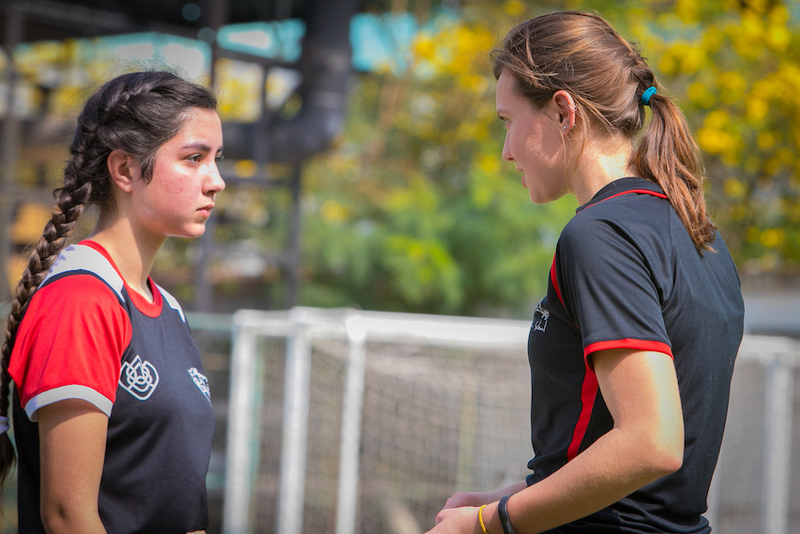 Lincoln got the job done on day 2, with a strong performance against the Raptors from Chennai – winning 3-1. Great team play resulted in some fantastic opportunities and goals. This win took us into the quarter finals. However, we had a quick turnaround and had to play Jordan a couple of hours later, who were also looking to seal their spot in the quarters. We took our collective feet off the pedal a bit too much in this match and ended up losing 2-1. The boys played like poet warriors against ASB in the quarters. Despite controlling most of the game, we conceded two goals on the break and found ourselves with a mountain to climb with about 10 minutes remaining. However, we pulled a goal back from a penalty, and then found an equalizer off a corner, to send the game into extra time. It was in this grueling stage of the match that one of our 8th graders curled a ball into the top corner and the comeback was complete. What-a-game!!! However, this left us with very little time to prepare for our semi-final vs Dhaka, who were playing their first match of the day. The opposition came out firing; we found ourselves a couple of goals down early on and were not able to recover this time, with physical and mental fatigue taking its toll. We finished the tournament in 4th place. Not what we hoped for as defending champions, but it was great to see our boys keep their composure in challenging circumstances in the heat of Muscat. At the awards banquet, our boys received a multitude of S-pins, both as individuals and the team as a whole, for their character, their friendship, and the respect they showed to all those associated with the tournament. 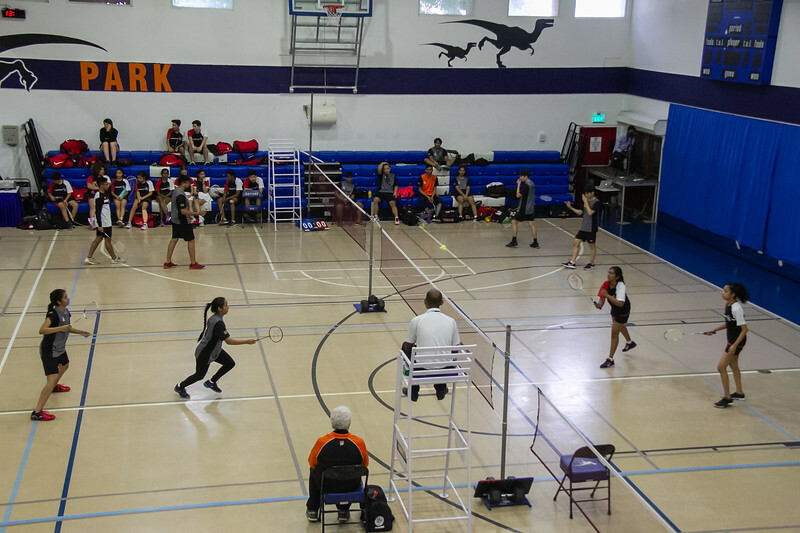 On Friday, Jan. 25th, the SAISA badminton team had the opportunity to travel to St. Xavier’s School in Jawalakhel to play in singles, doubles and mixed doubles matches. It was a great chance to test our skill against a formidable team of players. We had many wins and some losses, but most importantly, we walked away with a clear view of what to focus on before flying off to the SAISA tournament. It was also a great chance to mix with some students from another school! Should Chocolate Milk Be Served In Schools? In 5th grade, we wrote letters to Ms. Molly about whether or not chocolate milk should be allowed in schools. We have finished our letters and Ms. Molly came to our class to talk about our arguments. Ms. Molly asked us if there was something else that we could have in our canteen other than chocolate milk. We were thinking and thinking. Some people said fruit juice, chocolate milk and plain milk, smoothies, and so much more. Mr. Curtis had a cooler on his desk and we were all wondering what was inside the cooler. Then Ms. Molly said that we could do research and bring it to her. Mr. Curtis then told us that we were going to do that today and then he pulled everything he needed to make a smoothie out of the cooler! We all enjoyed it so much! Images taken by Ansuman, Grade 5 Student.